The fact that Paris asserted itself as the capital of France was made possible by the development and reputation of the University of Paris, which came into being during the 12th century as a result of the continuous growth of the Parisian schools that were grouped together on the hill called the Montagne Sainte-Geneviève. These schools provided instruction at three levels: Baccalauréat (grammar, dialectics, rhetoric), Licence (arithmetic, geometry, astronomy, music) and Doctorate (medicine, canon law, theology). This success soon made it necessary to adopt, at the beginning of the 13thcentury, an organised structure. Consequently, King Philippe Auguste decided to provide the teachers and students with suitable living conditions and to guarantee with diplomas the quality of their education, which was then becoming a new means of social mobility. So the schools’ organisation system was redefined in accordance with two major principles. The first one was the grouping together of teachers and students in a community called universitas that was governed by statutes setting out the rules of communal life within a shared system of education. 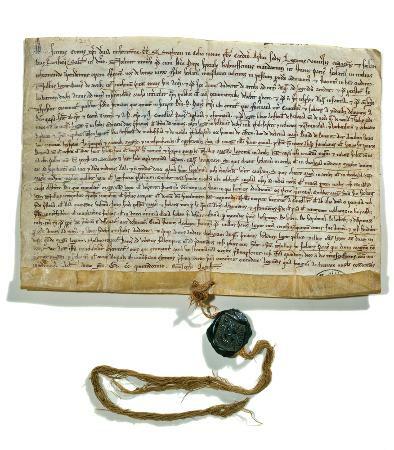 The second principle was that of self-government, which was guaranteed in the early part of the 13th century by three official texts: in 1200, a diploma by Philippe Auguste; in 1215, a confirmation by the papal legate; in 1231, the papal bull entitled ParensScientarium by Pope Gregory IX. Thus, the university became a legal entity, benefited from privileges and acquired a seal bearing the inscription: “Universitatis magistorum et scolarium parisiensium”. It was also in the 1240s that the first mentions were made of a rector, a Master of Arts (maître-ès-arts) elected head of the university by his peers. In the following years, the students formed four “nations” depending on where they came from: French, Norman, Picard and English. As for the schools, they came together to form “faculties”: liberal arts, medicine, canon law and, above all, theology – the most important science of all, it was believed. While there may not be any reliable statistics, it is certain that hundreds of teachers and thousands of students attended the Parisian schools at that time. As early as the 13th century, the university community was European. The shared teaching model and command of Latin made exchanges easier. Teachers were called on to give lessons all over Europe and were often accompanied by their students. Thisperegrinatio academica (academic mobility) made possible the construction in Europe of the knowledge upon which the Christian West is founded. For example, the University of Paris played host to the Swabian theologian Albert the Great and then to his Italian disciple, Thomas Aquinas, who was one of the leading lights in theologian and humanist thought in Europe. The “poor students” received full board in colleges founded by generous donors. The Sorbonne takes its name from a college created in 1253 by Robert de Sorbon, the chaplain and confessor of the then king, Saint Louis, who confirmed its foundation in 1257. Thanks to a royal donation, the school was established in a backstreet called the Rue Coupe-Gueule (“Cut-Face Street”) on the northern side of the Montagne Sainte-Geneviève. This street later became the Rue de la Sorbonne. Like in the other colleges, the teachers and students formed a secular religious community. Living off their own private income, they could devote themselves to attending and giving free lessons that enabled pupils from all social categories to benefit from this instruction. Merely twenty or so at the beginning, then only around thirty later, the number of the so-called socii was never greater than that throughout the Middle Ages. To this must be added a varying number – maybe a hundred or so permanently – of paying “guests” and “readers” that were allowed to use the library. Accommodating rich and poor, irrespective of family or geographical background, and using criteria of intellectual excellence, the Collège de Sorbon soon made a name for itself as an elite school. Equality, Collegiality, Morality, Studies – these were the college’s rules and they are repeated in the famous Latin motto: “Vivere socialiter et collegialiter et moraliter et scholariter”. Even though theology was also taught in many convents, the Collège de Sorbon became one of the principle colleges of the Faculty of Theology, along with theCollège de Navarre, the Collège du Cardinal Lemoine and the Collège des Cholets. For a long time, however, these colleges remained places where one could simply study and be accommodated and it was not until the 16th century that the Sorbonne acquired professorships. By the end of the Middle Ages, the University of Paris had become the biggest cultural and scientific centre in Europe, attracting some 20,000 students. It owed its reputation to the prestige of its teachers but also to its libraries the quality of which was equalled only by the papal library. The University of Paris was the cradle of the “second French humanism” in the 15th century and it was in the Sorbonne in 1469 that the first printing press in France was installed by King Louis XI’s librarian, Guillaume Fichet, and by the college prior, Jean Heynlin.